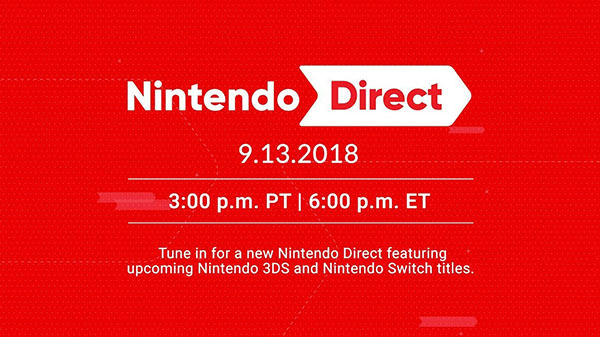 Nintendo will host the Nintendo Direct delayed from its original September 6 air date on September 13 at 3:00 p.m. PT / 6:00 p.m. ET / 23:00 BST, the company announced. It will run for 35 minutes and focus on upcoming Switch and 3DS games, as originally planned.